KOSCIUSKO — Sheriff Dukes would like to express his appreciation for the public’s assistance with locating a stolen vehicle. 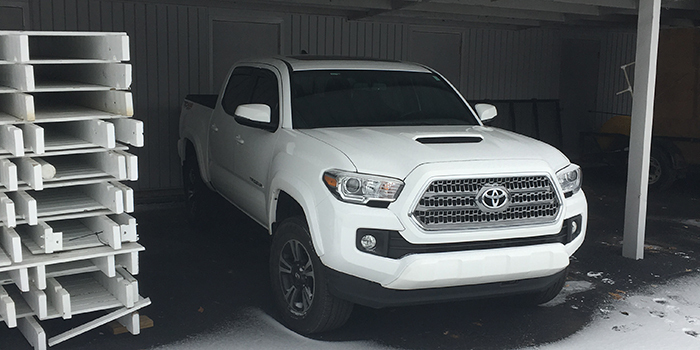 A white 2017 Toyota Tacoma was reported stolen from the North Webster area shortly after 7 a.m. Feb.10. A social media post was generated on the Kosciusko County Sheriff’s Office page and shared nearly 600 times. The truck was located at 10095 N. Turkey Creek Road, this morning, Feb. 11. The caller recognized the truck from the social media post and contacted the Kosciusko County Sheriff’s Office. At this time, there is still an enclosed black trailer, bearing Indiana Trailer plate TR580ARZ, missing from the North Webster area. Individuals with information as to the suspects or the whereabouts of the trailer are urged to contact the Kosciusko County Sheriff’s Office at (574) 267-5667.